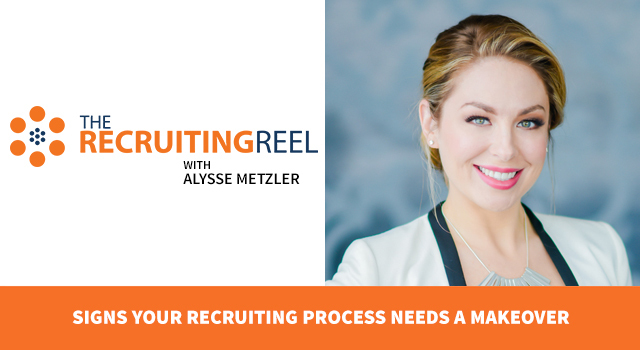 We’ve all heard how recruiters need to be work like marketers, but it’s not so easy if you don’t come from a marketing background. How do you know where to start? 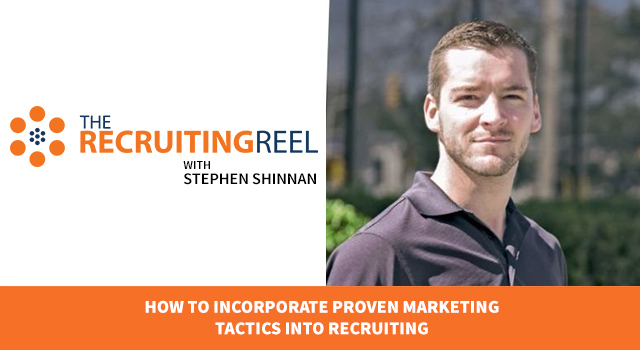 That’s why we asked Stephen Shinnan to join us for this episode on how to incorporate proven marketing tactics into your recruiting process. Stephen is the Director of Marketing and Business Development at TalentMap which provides powerful online employee survey software and support services that help you act on your results to create meaningful change and improve employee engagement. 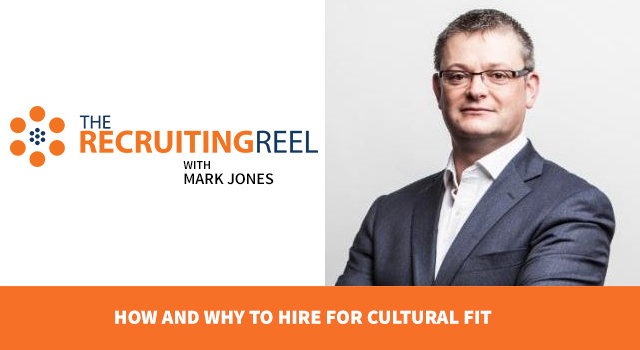 He not only has 10+ years in senior marketing roles, but he also recruited for many different positions while working as a marketing leader. Alright, Stephen, time to give the audience some marketing tactics to apply to their recruiting! Stephen Shinnan: Hi, my name is Stephen Shinnan and I’m Director of Marketing and Business Development at TalentMap. We help our clients improve employee engagement utilizing employee surveys, and ultimately, acting on the results. So I’ve been asked by Spark Hire to provide a couple of marketing tips as they relate to recruiting. 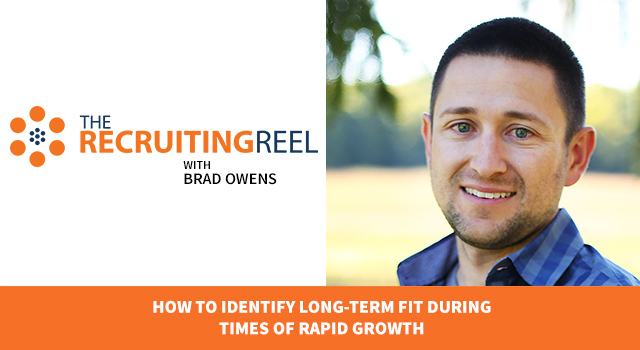 Over the last ten years, I’ve recruited for numerous marketing and sales positions. And the role I find the most challenging to fill is the outside sales role. I’ve worked the majority of my career in professional services, and in professional services, relevant past experiences can be absolutely critical. So, when you go into market with a job ad, often what I find is a great deal of unqualified candidates, regardless of how specific a job ad might be. One strategy I’ve developed over time is reminiscent of a targeted email marketing strategy. Whenever I’m going into market with a new job, I start by crafting a candidate profile. This is very similar of that to a buyer persona. I list everything from their values, past experience, and tenure. Once I have this very specific candidate profile, I write an email to this individual. Then I go online and utilize LinkedIn and other mediums to about 20-30 individuals that match my qualifications. Just like in email marketing, you can have a list of 10,000 recipients. If you send that email to all 10,000 individuals, the likelihood of your message really resonating with all of them is pretty low. We found in email marketing that often if you segment our your lists and you write more specific, targeted emails, your response rates and click-through rates go up. Just like in email marketing, what I’ll do is send to those 20-30 individuals. Whereas, if you put a job ad out, you might get 150 resumes and you’ll have to sift through all those resumes. If you’re a small business, that can be really challenging. While I send it out to 20-30 individuals, I’ll typically get the same shortlist I would if I went to market with a job ad. While I find this method to be a little more work up front, it saves you a lot of time later on in terms of going through unqualified candidates. It also creates a better candidate experience. It’s a very simple tip, maybe you’re doing it already, maybe you’re not, but I hope I brought you some value today. Thank you. Josh Tolan: Awesome stuff, Stephen. You offered a great starting point and an actionable strategy to act on. 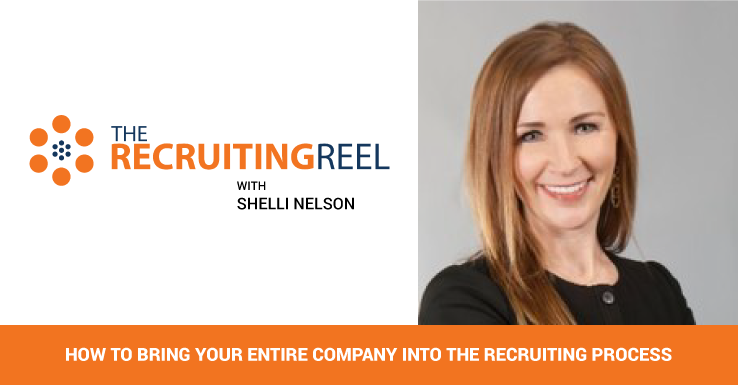 Recruiters – every position you recruit for should start with the creation of an ideal candidate profile. Then, everything you do to attract and hire candidates for this position should align with this candidate profile. Start with your job advertisement. 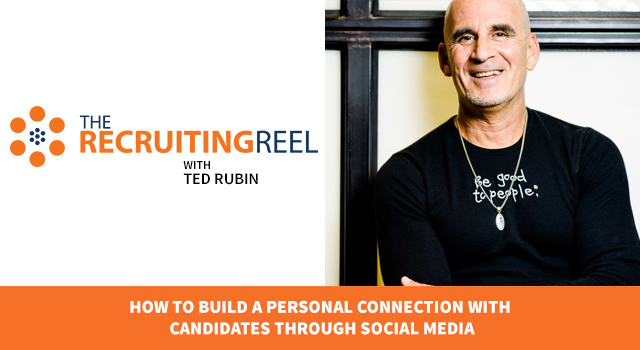 Tailor it to speak to the candidate profile you’re trying to attract. Next, create your outbound email templates as Stephen described. 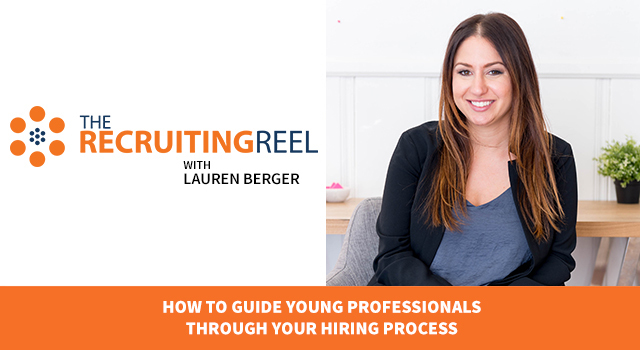 Then, develop supporting content that you can use throughout the hiring process. 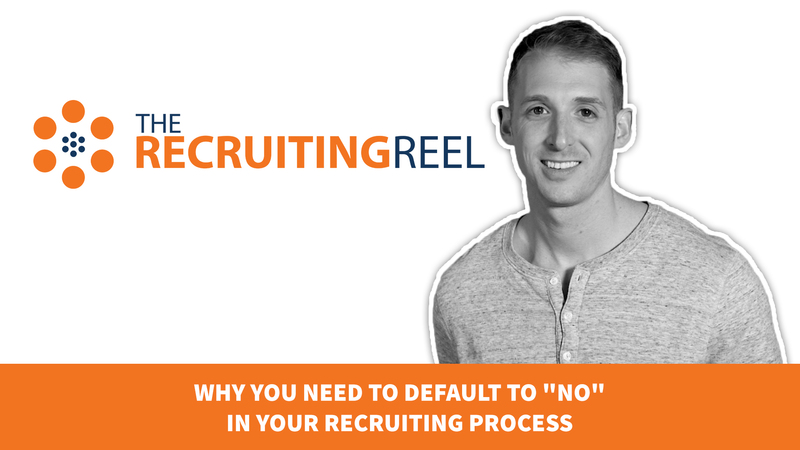 This can include personalized videos from you, the hiring manager, or future teammates. You can highlight specific employee testimonials or things about your company that candidates who match your candidate profile would find attractive. How do you build this persona? Well, start with the people you already have on staff in the same or similar role. Use their feedback as guidance and then adjust over time. If it’s the first time you’re recruiting for this role at your company, work with the hiring manager, reach out to your personal network as you may already know some people who are in a similar role, and join communities that you believe your ideal candidate would be apart of. 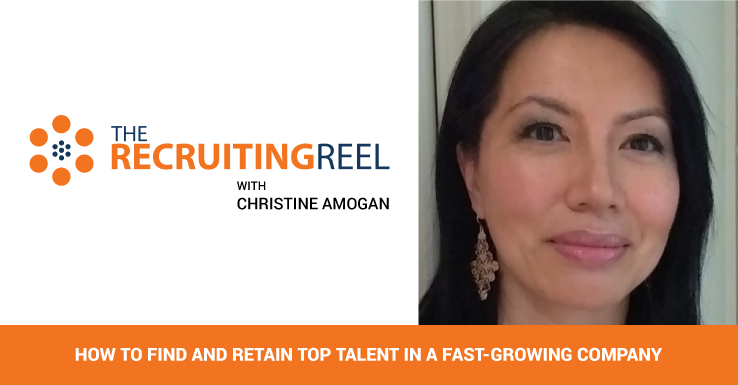 I want to thank Stephen Shinnan for coming on The Recruiting Reel. If you’d like to learn more about what Stephen and the rest of the TalentMap team are up to, check out their website at talentmap.com. To connect with Stephen on LinkedIn, please use the URL below (https://www.linkedin.com/in/stephenshinnan). Also, follow him on Twitter @StephenShinnan.